Selling a home can be challenging, especially if you don’t know exactly what to expect going in. If you hire a qualified realtor and know what to expect going in, however, you can ensure your house sells quickly, for the right price and with the minimal investment cost needed to make it all happen. In order to prepare yourself for the experience of selling your house, here are the four most important questions to ask your realtor. 1. What Is The Best Time of The Year to Sell My Home? 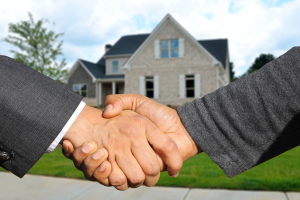 Listing your home for sale at the right time is crucial to selling it in a timely manner. The longer your home sits on the market, the less chance you have at selling it for your initial asking price. In order to avoid the daunting choice of either lowering your asking price or waiting months – if not years – for your house to sale, be sure to consult with your realtor about the proper time to list your home. A newly listed home has more appeal than one that has been on the market for a while. Therefore, listing your home at a time when people are buying can give you a significant advantage over the competition. 2. How Much Have Comparable Properties Sold for? The best way to formulate your asking price is to find out how much similar properties in the area have sold for, which is something a good realtor will have in-depth knowledge of. With that said, how much comparable properties sold for don’t tell the entire story. If you are looking to sell your home quickly, yet most of the comparable properties took multiple months to sell, then you should consider listing your home at a lower price. On the other hand, if you don’t mind waiting and feel your home has an advantage over other homes in the same area with similar square footage, than you may be able to price your home slightly higher and still sell in a timely manner. 3. Should I Make Repairs? Making repairs is a fantastic way to boost the appraisal value of your home. However, repairs don’t always yield a return on your investment. If the repairs cost equal to or less than the improvement in your property value, than the extra effort is not worth your time. Be sure to consult with your realtor in order to determine how to get the most out of your property value, whether it is through home repairs, landscaping or a fresh interior paint job. Lastly, it is always a good thing to test your realtor. In most cases, homeowners who are looking to sell will hire a realtor they haven’t worked with before, so it is common to have doubts about how good he actually is. You can eliminate all doubts, however, by having your realtor explain is plan for selling your home in a timely manner. Assuming he is good at his job, he should be able to share a detailed plan on how he plans to market your home and get potential buyers out to see it.